F225 Fitting Tape Beige; smooth texture, tight weave. The 200 series is our most popular and most common style of Fitting Tape. My thumb varies and I use either the tan or purple tape depending on my thumb size and desired release - Tan is faster than the purple. Green is too thick and slow for me. 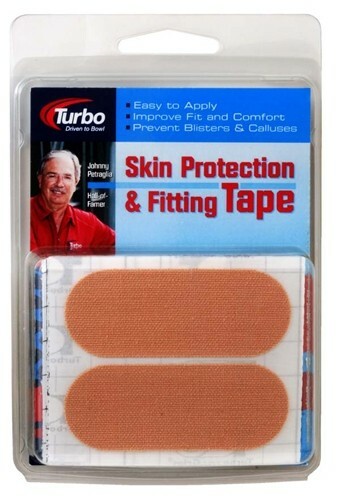 This tape seems to have less adhesive than other brands, so your hand needs to be very clean and dry when you apply it. The good news here is that it does not leave any residue when you remove it. Due to the time it takes to produce the Turbo 2-N-1 Grips Fitting Tape Beige PKG/30 ball it will ship in immediately. We cannot ship this ball outside the United States.